I cannot tell you how much I love having a newborn in my arms. I had a very anxious pregnancy but now Otto is here, I have full movement back and I am pain-free, I am loving every moment of the newborn days. The older boys are on school holidays and my husband is on leave. These are the most gentle and rewarding days. It really couldn't get any better. But I remember the early days with my first born and even after my second son was born, I felt a little lost and not as confident. So what exactly can you do with a newborn? 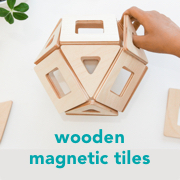 Some of these are painfully obvious but I wanted a complete story, here are my suggestions on what to do with a Montessori newborn. Hold them. Provide skin to skin contact. Maternal points of reference are my number one priority in the newborn stage. Holding the child provides warmth and tenderness, a sense of security. Skin to skin contact is important for both parents. Spending quiet time with siblings is prioritized in our home too. Caspar (9yrs) is the first one to wake in the mornings and I've been putting Otto in bed with him for 10-15 minutes after Otto wakes. Caspar spends this quiet time snuggling Otto and it's been a significant bonding experience for them, it allows me to get breakfast organized, empty the dishwasher and ready to start the day (I keep my eye on them and I can hear them). Talk to them. Explain to them what you are going to do to them this can be a significant part of the physical care of the infant (changing, bathing). Tell them about the day, what others are doing. Sing to them. Again the mother's voice is a maternal point of reference (the baby will remember your voice from being in utero). Talk to them so they can see your face, as when holding them and look them in the eye. Read to them. This is really helpful for siblings who just want to play with a newborn. Encouraging siblings to read to the infant will make them feel like they are doing something without having to physically play. This is a good time to introduce books, the child will also enjoy hearing the rhythm of your voice and the rhyme that some books provide. Use a wall mirror. We have chosen a freestanding mirror as we didn't want to attach anything to the wall, and as a bonus it's portable. Otto loves to look at the mirror (it's likely at this early stage he doesn't identify himself as the image in the mirror) but it holds his attention, he's finding it very interesting, he is developing his concentration and using lots of movement (kicking and waving about). Use a mobile. A high contrast (black and white) mobile is good at this stage. Above we are using the Crane Mobile but we've also used the Mother and Baby Whale Mobile. The mobile is the child's first work and can provide an opportunity for to the child focus and visually track while building concentration. We leave the bedroom window open so the mobile moves in the gentle breeze (if it isn't moving it doesn't hold Otto's attention for long). Use high contrast images. We haven't used a lot of high contrast images yet. I find Otto is immediately more settled under a mobile or with some images to look at and doesn't enjoy at all being on an empty playmat. We have several black and white books and art that can be used for this purpose. Below we are using Art for Baby. Use a movement area and allow for freedom of movement. Under the mobile, near high contrast images or next to the wall mirror - a movement area which can simply be a playmat or a folded blanket allows for the child to stretch, move and learn to coordinate their body, they allow for freedom of movement. We don't swaddle on the playmat (it would defeat the purpose). At this very early newborn stage, we use a topponcino under the child on the playmat/movement area. This has been to provide comfort, warmth, familiarity and it's likely we will stop using the topponcino in these areas in the upcoming days or weeks. I always make sure Otto is relaxed for this period, freshly changed and well fed. I want to set him up for success, I don't use it for babysitting. We don't remove the child mid-session, while they are still intently focusing on the images, mobile or mirror, wait until you can see they are finished with their work. The first time I put Otto on his movement area pictured above (next to the mirror and under the Whale Mobile) he was content and engaged for over thirty minutes, I almost fell asleep watching him. Learn their cues - regarding sleeping, eating and play or if they have wind. So far we've found it easy to read Otto's cues, it's easier to act on them in these early days when we are all home and he has our full attention. We try to be preemptive, if we see Otto has lost interest in the mobile or is getting distracted when his brothers are playing with him, we will remove him before he starts getting distressed or crying. Respect natural rhythms. I know some people find that routines just work better for them. However, Montessori would guide us to tuning in to our child and follow their natural rhythms in relation to sleeping, feeding, and play. This may be easier with a breastfed baby and feeding by demand but includes allowing the infant to wake independently (not woken and fed on schedule) and following cues for bedtime. Go outside, take a short walk or tour the garden. The number one reason we wanted to leave the hospital as soon as possible was to get outside, to feel the fresh air, see the green leaves on the trees, hear the sounds of the birds. Experience the outside. Take short but frequent walks to feel the breeze on your face and the (indirect) sunshine on your skin. I love the idea of using a baby carrier or just carrying the infant in your arms so they can see and feel everything (not tucked away in a pram). We haven't started infant massage yet but it's on my mind. I've been reading that some infants find it over-stimulating rather than calming, as we've been finding bath time, so as always it's best to follow your child and we'll be waiting a little longer. Over-stimulation can be an issue with the newborn child. We have kept Otto home (wouldn't have it any other way in the early days) with the exception of medical appointments and during this newborn period we will be avoiding loud public spaces and not allowing him to be handled by those that aren't close. What? 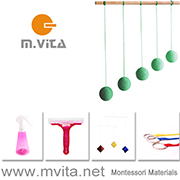 Montessori for babies? at The Montessori Notebook. Applying Montessori Principles from Birth: Month 1 at Nduoma. 5 Things Your Newborn May Need at At Home with Montessori (I will never forget that I was on the telephone with Meg when my waters broke!). If you are looking for books to read on the Montessori newborn I suggest Understanding the Human Being and The Joyful Child. For reference, Otto is ten days old in these images.